You are here: Home / Recipes / Black Eyed Peas Recipe Quick And Easy! 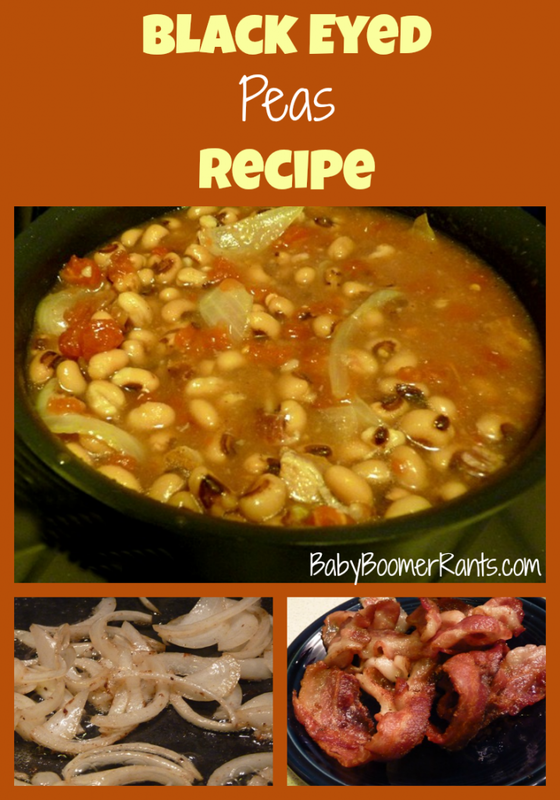 Black Eyed Peas Recipe Quick And Easy! 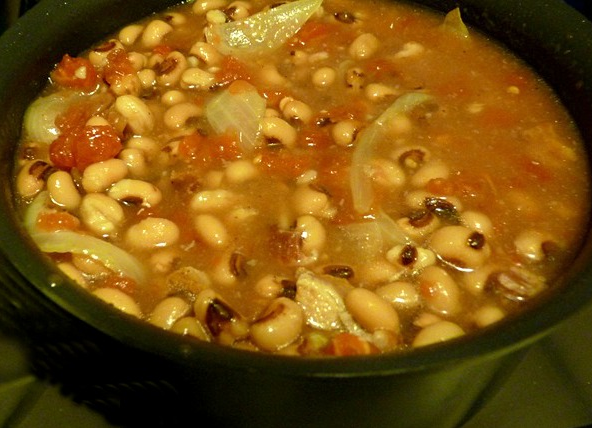 In the Southern United States, eating black-eyed peas on New Year’s Day is thought to bring prosperity in the new year. There are several legends as to the origin of this custom. The “good luck” traditions of eating black-eyed peas at Rosh Hashana, the Jewish New Year, are recorded in the Babylonian Talmud (compiled circa 500 CE), Horayot 12A: “Abaye [d. 339 CE] said, now that you have established that good-luck symbols avail, you should make it a habit to see qara (bottle gourd), rubiya (black-eyed peas, Arabic lubiya), kartei (leeks), silka (either beets or spinach), and tamrei (dates) on your table on the New Year.” However, the custom may have resulted from an early mistranslation of the Aramaic word rubiya (fenugreek). A parallel text in Kritot 5B states one should eat these symbols of good luck. The accepted custom (Shulhan Aruh Orah Hayim 583:1, 16th century, the standard code of Jewish law and practice) is to eat the symbols. This custom is followed by Sephardi and Israeli Jews to this day. Another suggested beginning of the tradition dates back to the Civil War, when Union troops, especially in areas targeted by General William Tecumseh Sherman, typically stripped the countryside of all stored food, crops, and livestock, and destroyed whatever they could not carry away. At that time, Northerners considered “field peas” and field corn suitable only for animal fodder, and did not steal or destroy these humble foods. Here’s Susan’s interpretation: I had to cook some good ‘ole Southern Black-Eyed Peas. I am not superstitious (at all) but I love traditions. I normally cook a pot of dried peas in the Crock Pot, here are my New Year’s Day traditional peas. NEW YEAR’S BLACK-EYED PEAS 2 cans Bushes Black-eyed Peas 1 can Ro-tel 3 pieces bacon 2 tbsp butter 1/4 onion, chopped 1/4 tsp minced garlic s and p 1/2 tsp Tony C’s Cook 3 pieces of bacon. Remove from grease, crumble them and set aside. Drain the grease, except for about a tbsp. Add in the butter and melt. 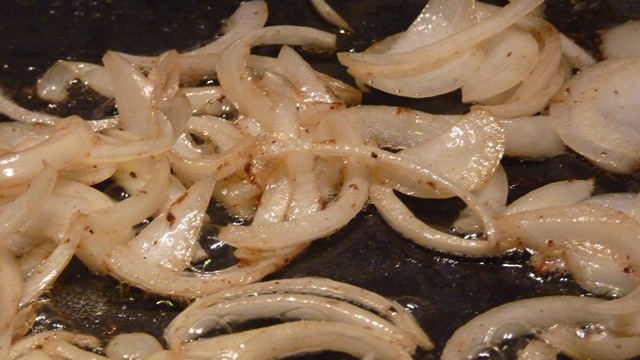 To that, add the chopped onions and caramelize for about 30 minutes. Make sure to do this on a low temperature so that they are not burned. To the onions, add two cans of black eyed peas, a can of Ro-tel, minced garlic, Tony Chacheres, salt and pepper. 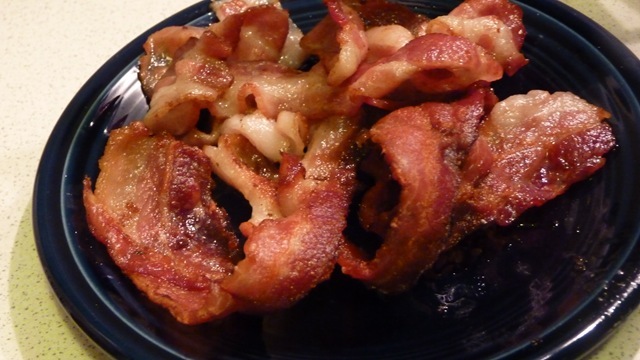 Also, add the crumbled bacon. Boil together for about 15 minutes.